Home » Investing » What makes Vanguard unique? Most mutual funds company are owned by outside stockholders. That means that the interest of the company is to generate profits for these outside owners. They are not generating profit for you. But they are generating profit for other people. But more importantly, Vanguard funds only have to cover their costs. They do not have to generate profits for outside owners. There is no conflict of interest. They do not have to generate extra profit to satisfy outside stockholders. And of course, that also leads to reduced costs. I think this is an important point. If your money is invested at another mutual fund company, it is used to make money for other people. And these people are already likely to be much richer than you. On the other hand, if you invest your money in Vanguard, it will only be used to pay for employees of Vanguard. Your money will mostly work for you at Vanguard! Another thing that makes Vanguard unique is the low-costs of their index funds. They currently have the lowest average cost of the entire industry. Vanguard’s funds’ average expense ratio is 0.11%. You have to compare this to the average expense ratio of 0.62% for the industry. You can see directly that you can save a lot of money by investing your funds with Vanguard. This will make a lot of difference in the long-term. How can they achieve such low costs? Mostly by being owned by their clients as we discussed in the previous section. They do not need to generate profits for outside investors. They only need to cover the operating costs of managing the funds. And since the costs are very low for managing index funds (computers! ), they can offer very low costs funds. Another reason that they have low-costs is that they do not advertise nearly as much as other big companies in the mutual fund industry. That means that Vanguard has much less advertising fees than the other companies. And even without so much advertising, they are still getting new investors all the time! They started as the only company to offer very low costs index funds. However, now they are several companies that are playing the fee war. Fidelity, Schwab, and BlackRock, for instance, are all offering very low costs. Fidelity has even started offering a zero-cost index fund. Now, the offer of low-cost index funds is quite interesting. Vanguard has an excellent reputation for all passive investors. This is something that counts too! I think that this excellent reputation is mostly coming from two things. First, the unique ownership system leading to low-cost. And also the founder of Vanguard, John Bogle, is a great person. He has always been an advocate of low-cost mutual funds and of index investing. He has written many books on the subject of mutual funds. For instance, he wrote The Little Book of Common Sense Investing. It is a great book that shows that active mutual funds are not worth it. And several others that I did not yet have the chance to read. You never hear of Vanguard offering huge bonuses to their employees. Or making drama. They are very few news reports about this company, except for saying how well they are doing. I do not want to read drama about the company where I am putting a lot of money into. Overall, Vanguard is a really a company that I feel I can trust. That is not to say that they are perfect. No company is perfect. But I do not have the same feeling for other mutual funds company. 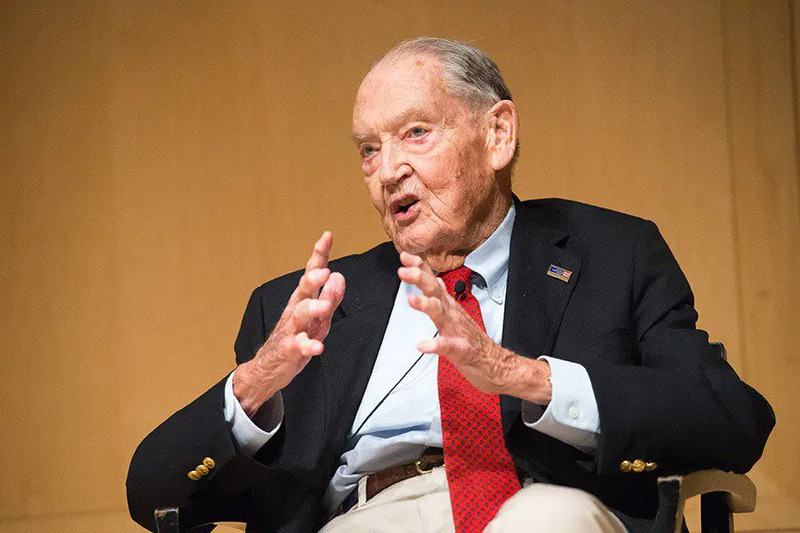 As I said before, John Bogle is a great man. Probably one of the only good guys in finance in today’s world. But John C. Bogle is also the person that created the first index fund ever! In 1976, he founded First Index Investment Trust for Vanguard that is a kind of precursor the very famous S&P 500 index fund. This was the first ever index funds to be created. I think that the fact that Vanguard started the first index fund speaks for itself. John Bogle did a full study of mutual funds. He discovered that most mutual funds were quite expensive and were not even beating the market. Therefore, he thought it would be much better to create a cheap fund that was simply replicating the market performance. It is probably one of the biggest inventions of the finance industry. As an indexing investor, it makes sense to be investing with the company that invented the first index fund! With all the previous reasons that we have seen, it should be obvious that Vanguard is a successful company. And success often leads to more success! They are the second biggest asset management company in the world. In fact, they are managing 3.4 trillion (that is 3.4 thousand billion!) assets. Now that we established that Vanguard is an awesome company, we need to know how to invest with them. You have two options to invest with Vanguard: Mutual Funds and Exchange Traded Funds (ETFs). You can invest directly in their mutual funds via Vanguard. However, this is not always possible. Indeed, Vanguard is not available to individual investors in several countries. For instance, in Switzerland, you cannot invest directly in their mutual funds. And no banks in Switzerland is offering their mutual funds. If you have access to Vanguard as an individual investor, it is a great way to invest! You can also invest in Vanguard via their Exchange Traded Funds (ETFs). Most Vanguard mutual funds are available as an ETF as well. ETFs are accessible on the stock market, through any broker. I personally use DEGIRO but Interactive Brokers is a great choice as well. Once you have an account at your broker, you can buy shares of the ETF you want to invest in. For instance, I posted a guide on how to invest in the VT ETF through DEGIRO. As you can see, there are many reasons that make Vanguard a unique company! Not only do they have an excellent reputation, they actually created the first index fund! And they are offering many very cheap index funds. Overall, they are managing an immense amount of money. And the founder of Vanguard, John Bogle, is a great man. 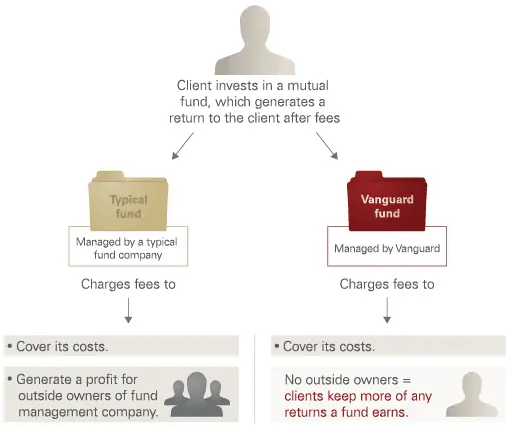 You can invest in Vanguard funds either directly through their mutual funds if you have access to Vanguard as an individual investor. You can also invest through their Exchange Traded Funds if you have a broker. If you are wondering, I do not receive any reward if you invest in Vanguard funds ;) It is just an excellent company that I trust. What do you think about Vanguard? What is your favorite mutual fund company? 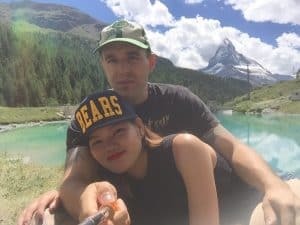 I am disappointed by Vanguard in Europe. Vanguard is great companyin USA, but in rest of world Black Rock with iShares ETFs has best offer. I prefer accumulation ETFs because in my country I do not need to pay dividend tax if I hold accumulation ETFs. Germany and Swiss are among few country where you need to pay dividend tax if you hold accumulation ETFs. Vangaurd offer just distribution ETFs, and has smaller offer for Europeans than iShares and Xtrackers. Yes, I agree, the offer is not as great for European ETFs. I do not currently any European Vanguard ETFs. Moreover, the fact that they do not offer mutual funds in Europe is also disappointing. I did not pay attention to the fact that they did not offer accumulating ETFs. As you said, Switzerland is taxing dividends even in accumulating ETFs. So there is no real point in choosing between both. I like ishares ETFs for European markets. They are quite good. But BlackRock does not as good a reputation as Vanguard. You are lucky that you do not pay taxes on accumulating ETFs! I wish it was the same in Switzerland. We do not have a bad tax system here!